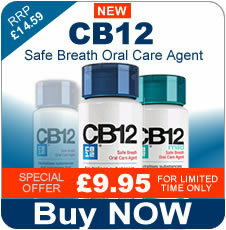 Canesten Oral and Cream Duo is an oral capsule and soothing cream to treat thrush. 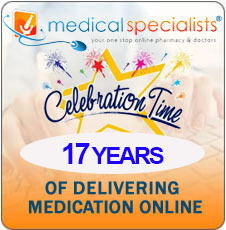 One capsule contains 150 mg of the active ingredient Fluconazole. 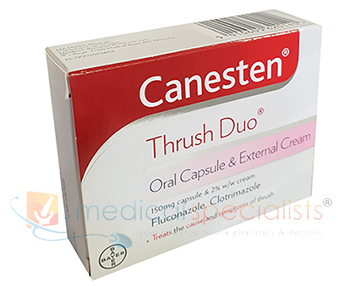 Canesten Oral & Cream Duo is a convenient pack containing two effective treatments for thrush - a single, fast-acting Canesten Oral capsule, to help clear the infection and a handy tube of Canesten 2% thrush cream to immediately cool the external symptoms. Canesten Oral and Cream Duo is an effective treatment for both vaginal and penile thrush. The capsule is to treat thrush and should be swallowed whole with a glass of water (with or without food). The cream is to treat the itching and soreness (vulvitis). Apply the cream thinly and evenly over the affected area 2 or 3 times daily and rub gently. 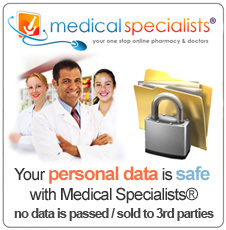 Continue treatment until the symptoms disappear, or up to 1 week in women and up to 2 weeks in men. For vaginal thrush in adults, only a single dose (1 capsule) is needed. 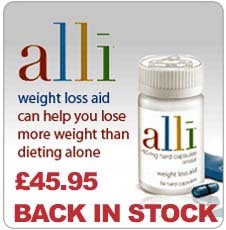 Swallow the capsule whole with a glass of water. The capsule can be taken with or without food. Apply the cream thinly & evenly over the affected external irritated area the cream on the external irritated area 2-3 times a day to relieve the symptoms until they disappear, or up to one week in women and up to 2 weeks in men. Some of the reported Side Effects include erythema, stinging, blistering, peeling, edema, itching, burning, and general skin irritation. Please refer to the patient leaflet for further information. 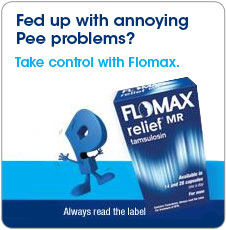 If you are unsure of the cause of your symptoms.